The shadow of TPLF’s old-guard has loomed large during a month-long marathon session of the Central Committee meeting that has yet to end. The story of the old-guard and the never-ending Central Committee meeting begins not with the meeting itself, but the sudden announcement of Abadula Gemeda’s resignation from his post as speaker of parliament, over social media. A medium that the new leadership of the OPDO has embraced as its leader, but one that does not immediately come to mind as the modus operandi of a man who holds on to a revolutionary pretension. A veteran of the liberation struggle, Abadula was seen as a link between the right-wing populist rhetoric of Lemma Megerssa and Abiy Ahmed (PhD), chairman and deputy of the OPDO, respectively, as well as the neoliberal reform program engineered by Arkebe Oqubay (PhD), and championed by Prime Minister Hailemariam Desalegn, the old-guard of the TPLF, and this publication. Despite having mentored the “new leadership” Abadula’s resignation was as much a recognition of the extent of the ambition of the new leadership as a genuine belief that the situation in Oromia was escaping their control and becoming unattainable. The reaction to his proposed departure is reminiscent of the reaction to Meles Zenawi’s public announcement of his desire to retire, in an uncharacteristic break with party discipline. The TPLF’s Central Committee, then still firmly in the hands of the old-guard emphatically answered “No”. A succession crisis triggered when the old-guard refused to let Meles go, opened its final chapter with Abadula’s resignation. Then, as now, the old guard recognised that such a precedent would spell disaster for their desire to stay perpetually in power. And so, the fat lady has yet to sing over the matter of Abadula’s resignation. It is unclear upon what mandate the old-guard, some respectfully retired from party duties a decade ago by the decision of the TPLF Congress, have re-entered its highest decision making organ. The only justification heard is that their personal histories have a more significant vote than those of their comrades who constitute the Congress. The implication is that they cannot imagine a future greater than their past. Their presence in the Central Committee is engineered to intimidate their younger comrades into submission and undermine the democratic culture of the party. Unfortunately, the Central Committee has refused to give in. The attempt at usurping power from party organs to the state in general, and to the Prime Minister’s Office in particular, is boldly manifested in changes to the laws governing the Investment Board and the Attorney General and explained by the hostility of the Central Committee to the old-guard’s neoliberal reform programme. The Prime Minister himself has shown a decided preference for his role as Prime Minister to his role as a party chairman, proving far more comfortable in state institutions rather than party institutions, where formality and tradition fail to tone down criticism. Perhaps the most revealing anecdote of the Prime Minister’s tenure is his demand to sit on the podium, next to the Speaker in parliament, because parliamentarians were failing to pay him appropriate amounts of attention, ignoring of course, that the seating is arranged according to powers designated by the constitution. The old-guard has allowed him free-reign over the trappings of power in return for free-reign over the Prime Minister’s Office and actual power. I believe Hailemariam’s growing unpopularity amongst the rank and file means he is unlikely to continue as a Prime Minister beyond the next party Congress. For it would seem the old-guard backed a losing horse, it should be little surprise to see them want to change their bet. 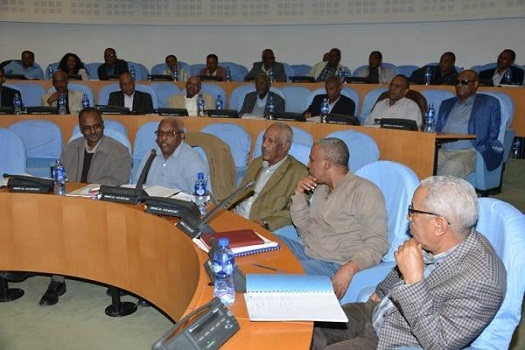 Faced with increasing assertiveness of the new-guard in the OPDO and the ANDM and the possible precedent Abadula wishes to set, the TPLF’s old-guard would like to ensure that they have a strong hand on the members of the Central Committee before the party congress, at which, they fear, a widely popular and hostile Azeb Mesfin may come into the party chairmanship determined to return to Developmentalism and Revolutionary Democracy. Fearful that the Congress will back Azeb, the old-guard is attempting to impose its choice in the form of Fetlework Gebreegziabher, as was leaked to this newspaper’s Fineline of last week. The old-guard’s ideological betrayal is not without reason. Orthodox and heterodox economists have agreed that capital accumulation requires a concurrent accumulation of social capital, and, that social capital is a public good, which faces all the market failures met by all public goods. Social capital has increasing returns; it has vicious and virtuous circles and a threshold from which a vicious circle turns virtuous. Social capital reduces uncertainty and therefore reduces the cost of transactions, and ensures low-cost enforcement of contracts. A task allocated to the state by even the most orthodox of economists and fundamental to the free transactions of goods and services. While the cost of enforcing contracts in Ethiopia is lower than that of many of our neighbours, a pedestrian view of the mistrust and cheating underlying the majority of Ethiopian markets suggests that the threshold of cumulative social capital necessary for a complex market to emerge remains out of reach. Despite an agreement between orthodox and heterodox economists on the necessity of social capital, differences emerge over the source of social capital, a debate personified by a famous tiff between Meles and the Peruvian economist, Hernando De Sotto. De Sotto is adamant that property registration systems are the most fundamental source of social capital and argues that “honourable behaviour” is best brought about through robust property registration systems. Property registration systems reduce uncertainty by forcing economic actors to lose anonymity, making transactions a matter of public record for all possible business partners to examine. A disclosure of economic history forces economic actors to carry out transactions with a certain degree of concern for how any wrongdoing could affect the possibility of future transactions. While Meles recognised private property systems as one source of social capital, he claimed it was neither the sole nor most significant, arguing that social capital was most fundamentally created through norms of reciprocity and social interactions occurring in dense horizontal networks of civic engagement. Generalised rather than specific reciprocity implies individuals behave in a socially productive manner not because they get a simultaneous and equivalent return but because they believe it is the right thing to do and because they expect others to behave similarly. Such networks serve to increase iteration and interconnectedness of games, and in-game theory fashion reduces defection and enhances cooperation. By improving communications about interests and past behaviours, reduce information and uncertainty, they embody recent successes at collaboration and develop into a culturally defined template for future action. In short, they help in the generalisation of reciprocity. Only dense networks of these kinds can provide a flow of information about interests and past behaviours of economic agents adequately enough to overcome uncertainty, ease information market failures and reduce transaction costs. The asymmetrical patron-client type relationships that still categorise Ethiopia’s political economy encourage opportunism in both ends of the network, creating circumstances in which the only “game” in town would be exploitation on the part of the patron and dodging on the part of the client. The differing histories of the state and the liberation movements means that the state, barely touched by two revolutions, is a space for patron-client relationships, while the party is far less so. The liberation movement was a network of networks of civic engagement governed by norms of general reciprocity that directly facilitated the resolution of dilemmas of collective action. It is thus no surprise that the old-guard’s attempt at turning the TPLF’s Central Committee into its client has mostly been reinforced through manipulation of the state apparatus and a client Prime Minister. There are severe consequences for Ethiopia’s political economy to these actions; vertical networks undermine group organisation and solidarity on the part of patrons and clients. Two clients of the same patron lack direct links; and having no direct linkages, they lose nothing from mutual defection and have nothing to fear about mutual alienation. They have no opportunity to develop a norm of generalised reciprocity and no history of mutual collaboration to draw on. Vertical networks undermine organisation, and solidarity among clients and hence hinder the accumulation of social capital and the development of generalised norms of reciprocity. A lack of such generalised norms of reciprocity is most dangerously evident in the relationship patterns emerging between the federal government and regional states, and amongst the parties of the EPRDF. Previous Post ተባባሪ ባልሆኑ የሶማሌ ክልል አመራሮች ላይ ዕርምጃ እንዲወሰድ ውሳኔ ተላለፈ! 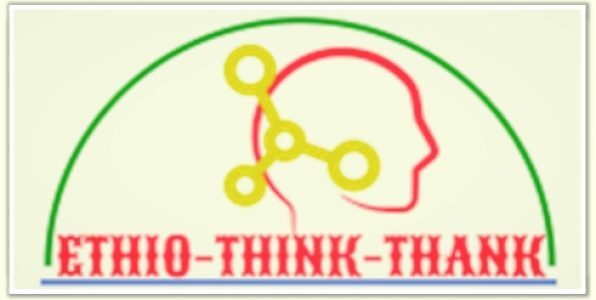 Next Post ​ትምህርት ሚኒስቴር መስማት ወይም መስራት አቁሟል! It is a little bite abstract. I would rather prefer to give suggestion if it had been translated into amharic.